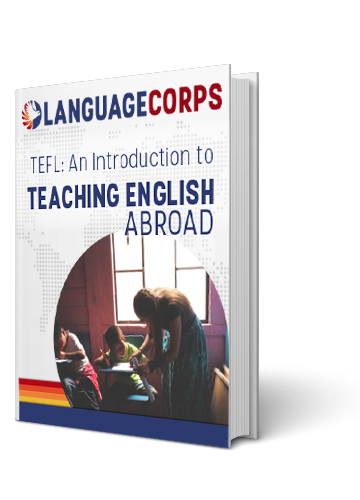 Been thinking about Teaching English Abroad for a while but don’t know where to begin? In an effort to inspire those of you that are on the fence, we’re going to be doing a series of country specific spotlights on the LanguageCorps blog over the next couple weeks. The goal is to provide you with a brief overview of some of our most popular TEFL destinations, without cramming an indigestible amount of information down your throat. What better place to start than one of the most popular and beautiful TEFL destinations in the world, Spain! As always, if you have any questions or want some more information, feel free to give us a call at 978 562 2100, or check us out online at www.languagecorps.com. TEFL aside, there are many qualities that make Spain a very desirable destination. Does a cool glass of Sangria on one of the most beautiful beaches in the world sound good? Yeah, I agree. So it’s an added bonus that despite their current economic difficulties, Spain has a very strong TEFL job market. Most schools in Spain require a minimum of 120 hours of TEFL training. While this can be completed in a variety of ways, in classroom training combined with practice teaching is preferred by most schools, and will lead to the best jobs (and the best pay). The LanguageCorps program in Spain provide 160 hours of in classroom training, in addition to 6+ hours of hands on practice teaching. Most jobs teaching English to Speakers of Other Languages in Spain are through private language institutes. Hiring remains pretty consistent year round, and the vast majority of people successfully find work. Some new Teachers go to Madrid initially, to get teaching experience, some secure positions in Seville or Barcelona, and others go to smaller cities in Spain. During the training program you will be given the names of schools to contact, and the staff will also help you with resume and interview preparation. If you are diligent and open to a variety of locations you should be able to locate work in no time. The average teachers salary in Spain is about 900 – 1,300 euros a month. This varies depending upon location, what type of school or company you work for, and the number of hours worked. Barcelona, Catalonia’s capital, sparkles with vibrant colors and intense energy. Home to some of the most visionary artists of the modern era, this rich city inspired Picasso’s Cubism and Dali’s Surrealism, and the unique Catalan perspective has had a dramatic impact on the way we perceive the world today. Our Training Center in Barcelona is on “La Rambla de Catalunya.” This central boulevard is easily one of the most emblematic of Barcelona — full of restaurants, museums and surrounded by centuries of glorious architecture. The Center itself has ten classrooms, a lovely terrace, and is equipped with all the comforts of home. Weather can vary greatly by region in Spain, but Barcelona enjoys a pleasant climate year-round with mild winters and hot sunny summers with a refreshing sea breeze. Outdoor activities, from swimming in the Mediterranean to skiing in the Pyrenees, are popular and easily accessible. Generally speaking, the further South you travel, the more extreme temperatures can become. On to the most important part of any TEFL destination…the food! It goes without saying that Spain is a great choice if delicious food is what you’re after. And what better way to sample all these delicious eats than with Tapas, the quintessential Spanish style of dining. Invented in Seville, Tapas affords you the chance to sample a wide variety of snack sized dishes, from decadent roasted meats to some of the freshest seafood in the world, Spain truly is the foodies’ paradise. Barcelona is equally famed for its nightlife. At times it seems that there are more clubs, cafés and bars here than anywhere else in the world. Dinner only really begins to be served after 9pm and the choice and range of cuisine is excellent. Afterwards you can pick from a thousand near perfect bars tucked away in the Gothic Quarter, trendy cafes in the Eixample district and open-air nightclubs in the Tibidabo Hills. Should I Teach English in Spain? If you’re looking to save a ton of money and get rich while Teaching English Abroad, then Spain might not be the place for you. Due to the comparatively high cost of living it can be tough to save money in Spain on a teacher’s salary, but if the experience of a lifetime is more important to you than your bank account, you really can’t go wrong Teaching English in Spain.